In 1993 Pauanui Waterways was opened to the public as the first canal development in New Zealand. What makes Pauanui Waterways so different from any other waterfront property is the world class amenities. These include a number of features specifically designed to enable section owners to make the most of the unique waterfront lifestyle. These features enable owners to park the boat mere meters from the front door step or take a dive into the fresh salty waters of the canal. 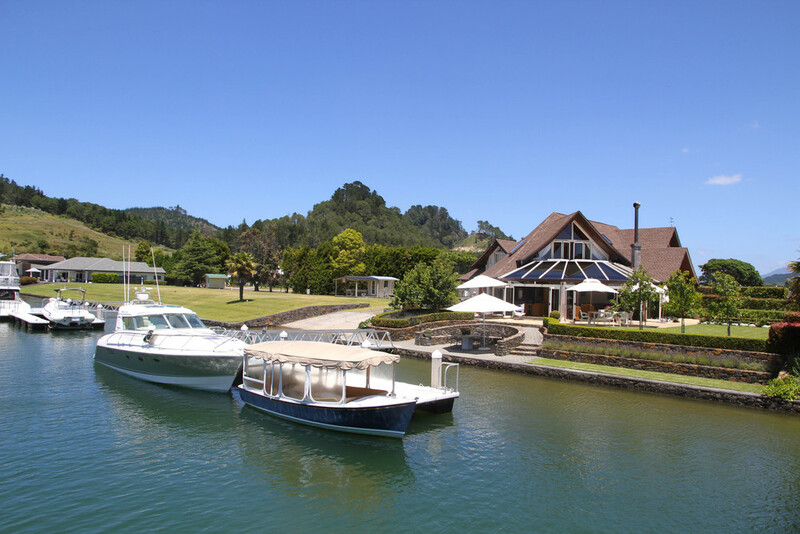 Pauanui Waterways popularity has made the area a highly sought after holiday destination and desirable retirement destination. Since 1993 the Pauanui Waterways subdivision has grown and flourished into a truly remarkable and unforgettable place. Purchasers of Pauanui Waterways have incorporated a diverse range of architectural housing and landscaping in which complements the surrounding area. A parcel of land locally known as “The Hammerhead” has been reserved to establish a more intensive mixed use activity development, with the potential to include apartments, tourist accommodation, boutique retail and restaurant facilities. Currently in the third and final stage of completion, the supply for sections at Pauanui Waterways is nearing the end. If you are looking to share the waterways experience by purchasing a canal front property, now is a great time. Pauanui Waterways have ready to occupy homes or can help with the selection of a section, or a design and build program. Show homes are open to view in the weekends, or by appointment. Their helpful staff would gladly introduce you to the waterways experience, don’t miss out on this once in a life time oppourtunity. Phone today!